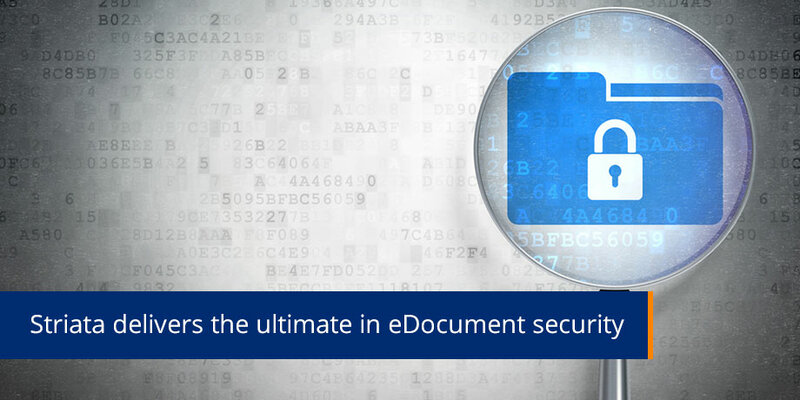 Striata delivers the ultimate in eDocument security by ensuring customer data is protected throughout the flow of the document lifecycle. At an application level, data is protected during transfer, processing, storage and within the Striata infrastructure. At the recipient level, data is protected by authentication protocols and document encryption. Striata offers the highest level of trust to both clients and their customers.